Colorado has always been my very favorite place to visit since I was a young girl. What would be a dream of mine would be to live up in Colorado during the summer months in a nice cabin with a porch or deck with rustic outdoor furniture and a beautiful view of the mountains, a complete kitchen (dishwasher included), complete bathroom (absolutely no out-house), and nice neighbors. I would love to get up every morning and sit on the deck while drinking a cup of tea and looking at the gorgeous scenery. I guess I’ll just have to keep on dreaming! 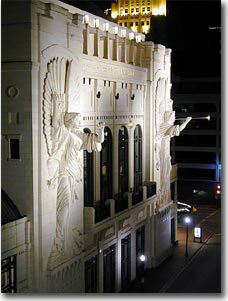 ATTRACTIONS Bass Performance Hall @ 4th and Calhoun Streets in Sundance Square, downtown Fort Worth. Free tours of this absolutely beautiful performance hall are offered on Saturdays at 10:30 a.m. 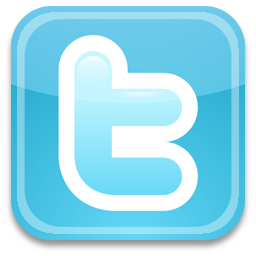 Check their Events Calendar for events and concerts.
. Blue Bonnet Bakery @ 4705 Camp Bowie Blvd. in an historical 1920s-era church building which received the Historic Fort Worth 2011 Preservation Award. 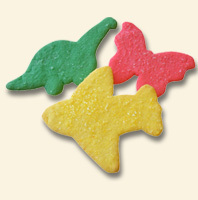 For over 75 years, they’ve been well-known for their sugar cookies, desserts, & more!
. Bureau of Engraving and Printing @ 9000 Blue Mound Road, one of only two currency printing facilities in the United States. Admission is free. This is geared more for adults and older children. The tour is interesting but involves a lot of walking and standing.
. Casa Manana @ 3101 West Lancaster Avenue off University Drive features a stage that extends into the audience on three sides. 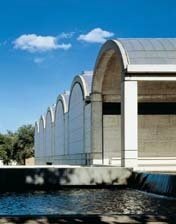 For over 50 years, they have provided professional theatre performances.
. Fort Worth Botanic Garden @ 3220 Botanic Garden Blvd. off University Drive. 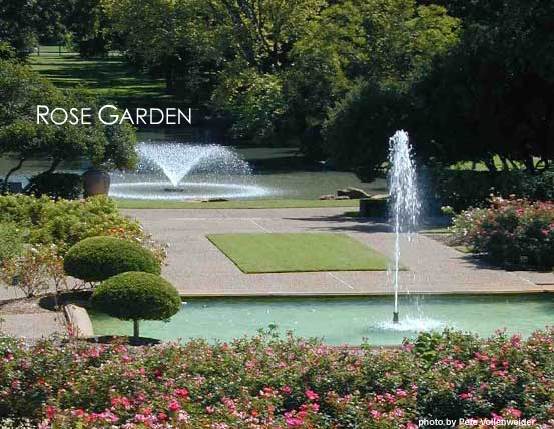 This is the oldest botanic garden in Texas and such a pretty place to walk or drive through. 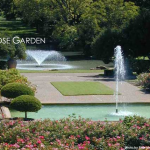 There is free admission to nearly all of the gardens, however, there is an admission fee for the Japanese Garden.
. Fort Worth Stock Yards @ Exchange Avenue and N. Main Street. 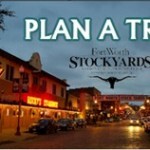 There are numerous attractions, restaurants, and shopping in this area, including the Stockyards Championship Rodeo, Stockyards Museum, Cowtown Coliseum, Texas Cowboy Hall of Fame, Grapevine Vintage Railroad, and Petting Zoo. There’s a lot to see and do in this area!
. 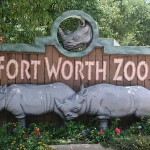 Fort Worth Zoo @ 1989 Colonial Parkway. Admission is half-price on Wednesdays. 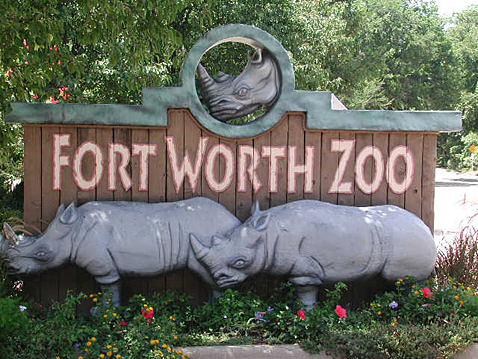 It’s ranked #5 in the nation by USA Travel Guide, a top zoo by Family Life magazine, the Los Angeles Times and USA Today, and named the #1 attraction in the Dallas/ Fort Worth Metroplex by Zagat Survey U.S. Family Travel Guide.
. Forest Park Miniature Railroad is close to the Fort Worth Zoo. (CASH only: prices). 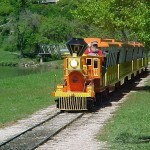 The ride is about five miles long and lasts 35-40 minutes for the round trip. 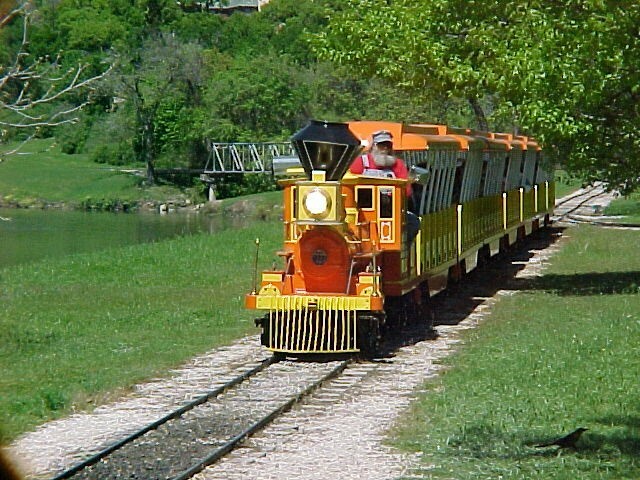 This train is a Fort Worth family tradition since 1959 and is a favorite for children of all ages! We love it, especially our grandsons, even our college-age son, and actually…the whole family! 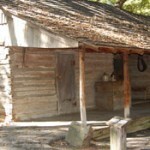 Log Cabin Village @ 2100 Log Cabin Village Lane, located close to the Fort Worth Zoo, contains six log houses, dating back to the mid 1800s and furnished with authentic furnishings. 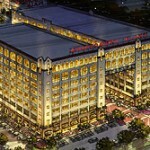 Popular for school field trips.
. Montgomery Plaza @ 2600 W. Seventh St. in Fort Worth’s Cultural District. 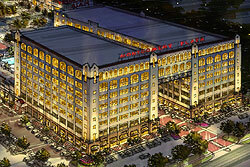 A renovated Montgomery Ward building, originally built in 1928 and once the largest building in Texas. This is a favorite of ours! 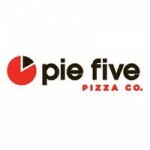 We like to eat at Pei Wei and also Pie Five Pizza. 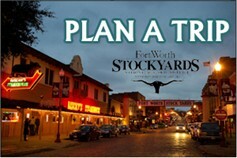 Sundance Square is located in downtown Fort Worth and is a hub for hotels, events, restaurants, entertainment, and shopping. 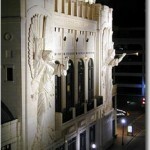 This includes Bass Performance Hall and Circle Theatre as well as P.F. Chang’s China Bistro and Razzoo’s Cajun Cafe. 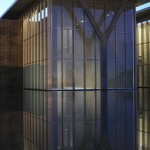 And it’s fun just to walk around the area on a pretty day.
. Amon Carter Museum of American Art @ 3501 Camp Bowie Blvd. Note the exterior walls of the museum. Texas shell stone was used which, in my opinion, makes the walls a work of art. Admission is free to this museum. 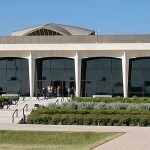 Fort Worth Museum of Science and History @ at 1600 Gendy St. (off Camp Bowie Blvd.) Each Bank of America cardholder gets free admission through their Museums on Us Program the first full weekend of every month. Children are charged regular children’s admission. Great museum for families, and I highly recommend it! 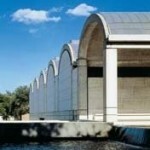 Kimbell Art Museum @ 3333 Camp Bowie Blvd. The building was designed by a renowned architect and is widely recognized as one of the most significant works of architecture today. The landscaping and skylights add to the museum experience. The museum always has free admission to their permanent collection. 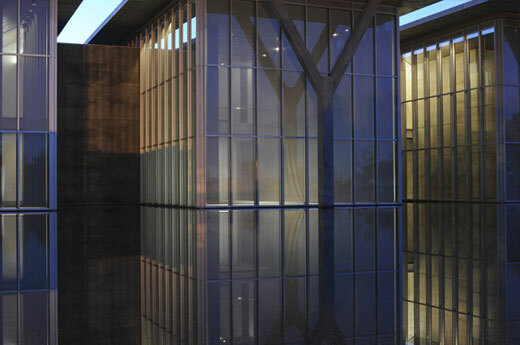 Modern Art Museum of Fort Worth @ 3200 Darnell St. (not far off Camp Bowie Blvd.) Admission is free on the first Sunday of every month & half price every Wednesday. The Grand Lobby, Café Modern, and the Modern Shop are always free. This museum was named one of the “World’s Most Beautiful Art Museums” by Travel + Leisure Magazine. 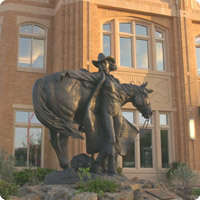 National Cowgirl Museum and Hall of Fame @ 1720 Gendy St. (off Camp Bowie Blvd.) Ages 2 & under are free with a paid adult. The museum’s slogan is “The only thing pink about growing up cowgirl is a sunset,” and they honor women in the past and present who help shape the American West. 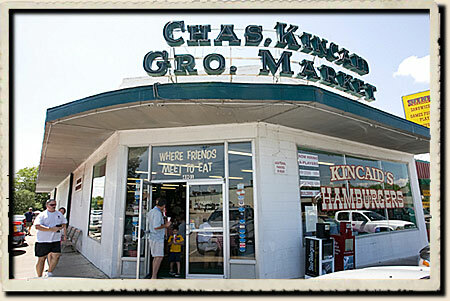 There are many, many other restaurants, but here are just a few ideas (several are family owned).. Kincaid’s Hamburgers @ 4901 Camp Bowie Blvd. The Grocery started in 1946 and began making hamburgers in 1964. 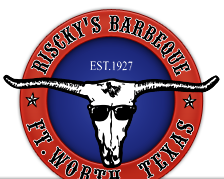 Their hamburgers were chosen as the best burger in the USA in the late 1960’s and have been the best burger in Fort Worth many times. 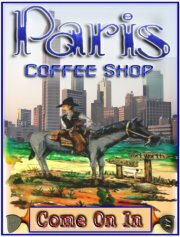 Note, the original Kincaid’s on Camp Bowie is the only location that still serves the way they did back in the 60’s.
. Paris Coffee Shop @ 704 W. Magnolia is not a French cafe. It is like taking a step back in time to the sixties, full of nostalgia. 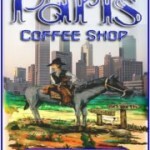 However, the definition of a “Parisian Cafe” is a center of social and culinary life, and that is the Paris Coffee Shop. It is the meeting place! Well known for their homemade pies, their Coconut Cream Pie is a favorite. 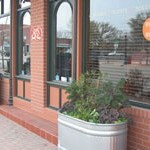 Mexican Inn Cafe with several locations in the Fort Worth area, originally opened in 1936. Their family tradition is to make their own masa for their chips and tortillas. Their chips are unique, more like homemade fritos, and are a favorite of many. Eating at Mexican Inn is a tradition of many families in the area.
. Pie Five Pizza opened last year in Montgomery Plaza @ 2600 W. 7th Street. Its trendy atmosphere, pizzas ready to eat in five minutes, and awesome selection of toppings are three reasons why it’s a favorite. 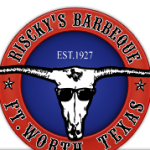 It reminds me of a Subway for pizza because each personal size pizza is made exactly to your specifications with no extra charge.
. Riscky’s Barbeque with several locations, dates back to the late twenties with Polish immigrants, and the Riscky family has been in business ever since with six locations in the Fort Worth area. They serve the best quality meats and their barbeque sauce is a favorite of many, as well as their seasoned french fries. The atmosphere is truly Texan!
. Shaws Patio Bar and Grill @ 1057 W. Magnolia Avenue (Magnolia Ave. – a popular hub for restaurants) is a family owned restaurant with a family fun atmosphere, including flatscreens, a juke box, and live music. 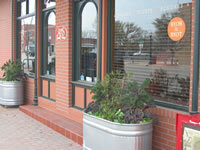 They have “Hamburger Happy Hour” every Tuesday-Thursday from 4:00-7:00 p.m. and feature 1/2 price burgers. Are you looking for some special recipes? And not only special recipes but healthy ones as well? When loved ones and friends come to visit or even if it’s just our own family at home, we like to fix something special for them on holidays or certain occasions and might need a new recipe. Or maybe we’ve gotten into a recipe rut and fix the same things week after week and need a recipe revival. Whatever the reason, here are some delicious sounding recipes I’ve seen recently on a Bed & Breakfasts Foodie Blog: Eight Broads in a Kitchen. These recipes come from Kristie at Lookout Point Lakeside Inn which got an award of Innkeepers of the Year a couple of years ago. I can’t wait to try them! Healthy Organic Quinoa Salad, Perfect for Weight Watchers! When traveling around the country, do you ever pick up the little pamphlets that say “Homes for Sale” or something similar? Sometimes, they will be in restaurant lobbies or motel lobbies, and we might pick one up to look at just out of curiosity. If someone happened to be traveling in the Outer Banks of North Carolina, for example, they might pick up outer banks homes for sale. It can be interesting to see how much homes sell for in different areas compared to the area we live in. And it’s fun to see the different styles of homes in different areas. What an unassuming little cookie! Just to look at Dad’s Original Oatmeal Cookie, one would never guess how delicious they are. 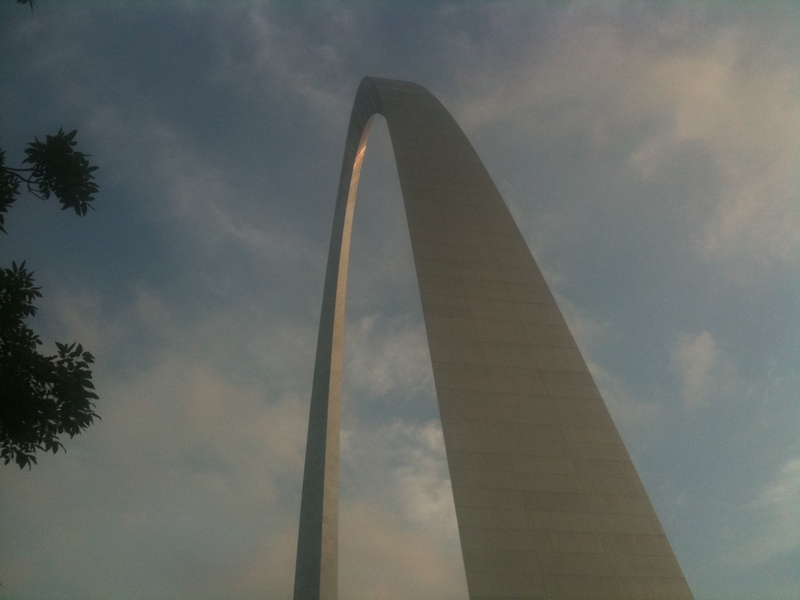 We first encountered them a year ago when we visited the St. Louis Gateway Arch (the nation’s tallest monument at 630 feet). Unseen from ground level is an underground mini-mall area complete with an impressive little museum and shops. 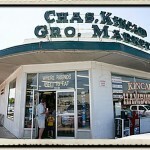 We (hubby, me, and our son) went in this cute little 1900-style market. On the checkout counter stood a cookie jar filled with oatmeal cookies, priced modestly at 3/$1. We needed a little snack so I bought several cookies. When eating these cookies later, we were surprised how yummy they were and wished we had bought more. We were headed to Springfield, Missouri, and figured we might could buy more there but were disappointed to find out the cookies are sold only in the St. Louis area. Sometime after we got back home, I researched Dad’s Original Scotch Oatmeal Cookies and found out their interesting history. I searched and searched for the recipe but didn’t find one that sounded suitable until one day I found this Whole Grain Thin and Crispy Oatmeal Cookie Recipe (minus the walnuts) that sounds like it’s very close to Dad’s cookies. My dear husband suggested ordering some of the cookies from Dad’s website recently, but I would rather wait since I’m trying to lose weight. If I need to bake a batch of cookies to take somewhere, though, I just might try the recipe I found online! Update: We visited the actual bakery, Dad’s Cookie Co., in June 2012. Photo courtesy of our son! The past six weeks have been so hectic with a lot of teacher training for the new state testing system plus seven ARD meetings to prepare for plus just the regular day-to-day stuff that goes with teaching. Add in all the shopping and getting ready for Christmas and I’m ready to go to somewhere like the st lucia resort to recuperate! Remember the old commercial that says “Calgon take me away?” That’s how I feel as well as nearly all the teachers I work with. We’re exhausted and so ready for a break to revitalize! There are a lot of people who love to travel and pull their travel trailer behind them. They just get a trailer hitch put on back of their truck or vehicle, and then they’re set to go all over the country. We have several older friends and relatives who just love to do that, and they used to make one or two yearly trips and stay gone for weeks. Of course, someone would need to be retired or else have a really long vacation in order to do that. The great thing about it is that when they go to visit relatives, they have their own place to stay. A couple of years ago, our son went on a trek up a mountain in Colorado with a group from church. They had two experienced guides with them which eased my mind about our youngest child (age 17 at the time) going up to the top of a huge mountain. I don’t know if any of them used Trekking Poles or not, but I know they wore cleated shoes to grip the mountain as they went up steep slopes. The hikers spent the night in tents and ate campers food (the exact opposite of deli food). Some parts of the mountain trek were extremely challenging (and sounded almost dangerous to me). I must say that after hearing from some of the other trekkers, we were very proud of our son and how he carried the gear of weaker hikers who were about to collapse, even though that made his load twice as heavy. That is a memory of his trek that I will always treasure! Our son visited Utah year before last when he went with his college roommate to visit his family over Spring Break. They drove the whole way, from the north Texas area, through Colorado and the southern part of Wyoming, and then on into Salt Lake City. Our son would take pictures with his iPhone and then we would get to see them via Facebook. That area of Utah is absolutely beautiful. It would be a nice place to have a vacation home. Utah is west of Colorado, and although we visited Colorado many times while I was growing up and on into my adult years, we didn’t travel into Utah except for one brief time when I was little. So I didn’t realize what breath-taking scenery is in that area. I can see why people look for real estate there. There are a lot of hiking and bike trails, ski resorts, water recreation, golf courses, and much more. All of this is offered in the beautiful mountain surroundings. I can see why the Winter Olympics were held in Park City, Utah, back in 2002.